The New York Times's Pulitzer Prize-winning columnist reveals how the financial meltdown emerged from the toxic interplay of Washington, Wall Street, and corrupt mortgage lenders. 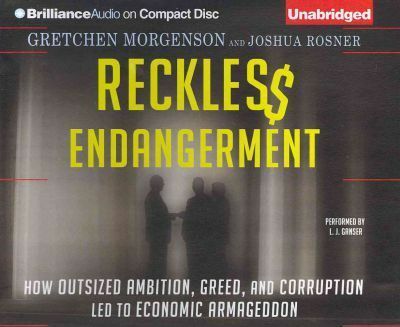 Drawing on previously untapped sources and building on original research from coauthor Joshua Rosner--who himself raised early warnings with the public and investors, and kept detailed records--Morgenson connects the dots that led to this fiasco. Character-rich and definitive in its analysis, this is the one account of the financial crisis you must hear.